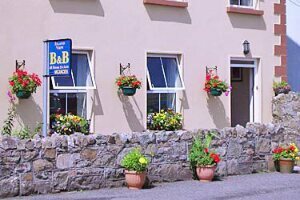 An Award winning B&B situated in the heart of Connemara in the beautiful scenic village of Moyard. The Twelve Bens Mountain Range, a series of Lakes and sea - breathtaking beauty all of which can be seen from every room. Cornerstones is a modern built house with all the amenities to make your stay a comfortable and an enjoyable one. On arrival you will receive a warm welcome with tea/coffee and fresh homemade baking from the kitchen. Our bedrooms are individually decorated with its own unique style and character. Visit Kylemore Abbey where history is held time locked. Here you can find craft shops, restaurant, restored Gothic church and the restored Victorian Gardens as well as visiting the Abbey itself. Or follow the trail to the summit of Diamond Hill in the Connemara National Park. Over the years we have received many awards from various associations for the quality of service we offer including Certificates of Merit from Failte Ireland in 2004 and 2005. 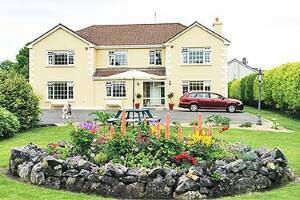 The Tullaleagan Guesthouse, a unique Bed & Breakfast, is situated idyllically on the hills bordering the Lough Corrib. 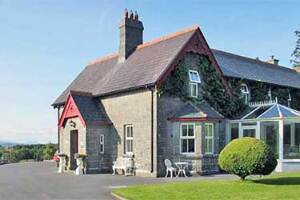 With its breathtaking views of the Corrib and the Connemara landscape, Tullaleagan Guesthouse offers its visitors a taste of the beautiful western countryside. The house has 7 comfortable "en suite" (shower and toilet) double bedrooms with enough space to place a 3rd bed in each room. Most guestrooms have a view over the Lough Corrib. Tea or coffee available in the room. "I would like to make your stay at Tullaleagan Guesthouse as relaxing and comfortable as possible." 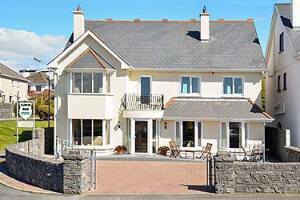 Island view is a warm and welcoming family home in the heart of Roundstone Village. Nearby is Gurteen bay and Dog's Bay distinctly revered as the beach in Ireland that has the most white sand and features a turquose tinted colour of the sea. Each ensuite room has sea or mountain views. Roundstone is considered the most beautiful village in Connemara. It has featured in films and is a traditional fishing village where one can see Galway Hookers sailing and local fishing trawlers returning with their catch. 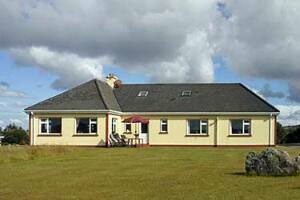 Connemara National Park, an equestrian centre, championship golf course, hillwalking and cycling are all nearby. Guests are greeted with homebaked scones and freshly brewed tea/coffee. Breakfast includes a choice of fresh fruit salad and organic yoghurt, smoked salmon and scrambled eggs or a full Irish breakfast. We have a wealth of local knowledge and do our best to ensure that your stay is unforgettable. IslandView is "Turistic per caso" recommended. Convenient for Aran Islands & Inis Bofin. 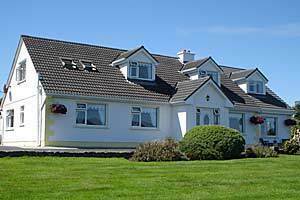 Silver Beach House Bed and Breakfast is a beautiful family run B&B offering luxurious accommodation on the edge of Galway City and along the Wild Atlantic Way. It offers a great starting point for exploring the beautiful Connemara region. We provide our guests with a high standard of service in beautiful surroundings. Our guestrooms are elegantly designed and feature every modern convenience. We are very proud of our delicious breakfast menu. 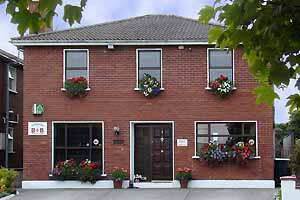 Silver Beach House B&B is a short 10 minute drive to local attractions, shops, bars and restaurants in the Galway City Centre or simply leave your car here and take the bus from bus stop just outside! We offer our guests private parking, free WiFi and a hospitality tray in each bedroom. We can provide information on tours and outdoor activities in the area. Our guests can relax in the main lounge and the front garden patio, while enjoying the serene tranquillity and peace and quiet. The seaside resort suburb of Salthill is also convenient for Golf courses, whilst Celtic Heritage lovers will find plenty of treasures to explore, including the Cliffs Of Moher, Connemara and the mystical Aran Islands. 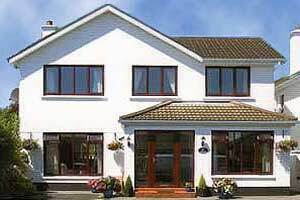 Sli Na Mara B & B, ideally located in the heart of Medievil Galway, run by George and Bridie Thomson, offering both comfort and convenience during your stay in The City Of The Tribes. 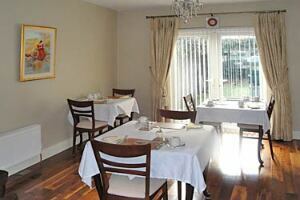 Sli Na Mara Bed and Breakfast Accommodation offers a homely, friendly and relaxed atmosphere. We pride ourselves on the personal service and attention, we offer to all our guests. Translated, Sli Na Mara means Way/ Path To The Sea with breath taking views of the Atlanic Ocean and Galway Bay not far from your door step. 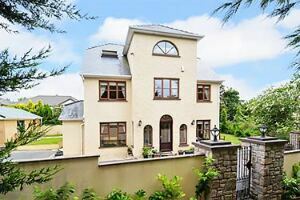 Sli Na Mara is just a 10 minute walk from Galway's bustling Eyre Square and Bus Station and only a five minute stroll from the world famous Promenade. 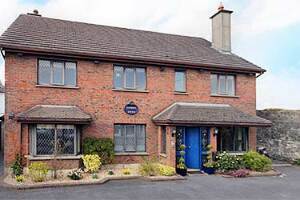 This family run B & B is the answer should you be visiting Galway for business or pleasure thanks to its central location and quality accommodation. 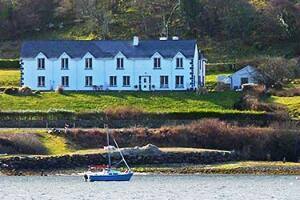 Sli Na Mara boasts four ensuite rooms for you to enjoy during your stay. Each room has spacious bathrooms, modern furnishings and generous storage space for those taking a well deserved long vacation. All rooms also have cable T.V. and for those on business a free wireless connection so work won't get in the way of you enjoying all Galway has to offer. Tea and Coffee is available and prepared on request, we believe that Tea and Coffee facilities are impersonal when located in ones room and prefer the personal touch and a quick chat over a cuppa!